Never Blow Your Budget Because You Forgot Something Ever Again! Budgeting is essential to reaching your financial goals. 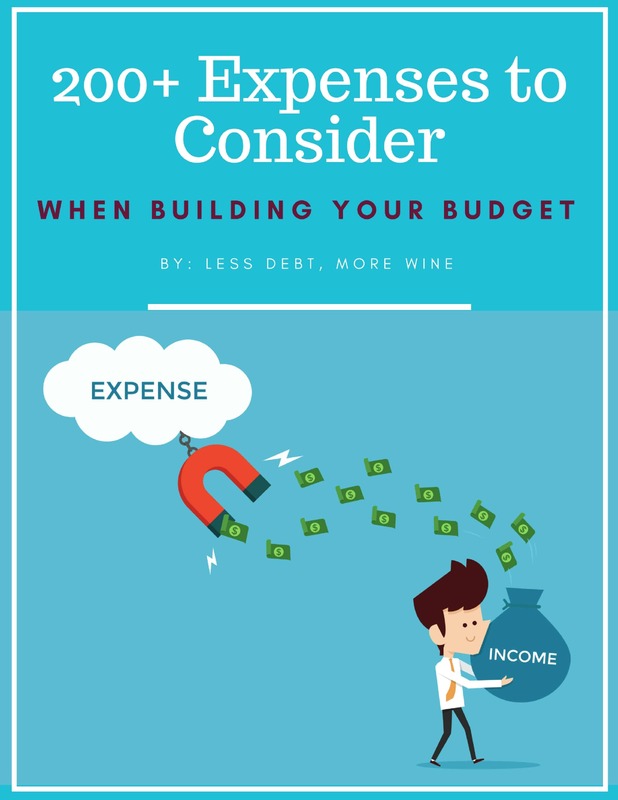 This list of 200+ Budgeting Expenses will make sure you don't forget anything. It’s so easy to let the little things, like HOA fees, put holes in your budget and then get disappointed by your out-of-whack budget. This list reminds you of all these little things and will definitely keep your budget on track! Yes, I want the list! Your purchase is risk-free thanks to our 30-day 100% satisfaction guarantee. Receive personal finance tips and special offers from Less Debt, More Wine and get 10% off your first order! Welcome to Less Debt, More Wine!